Join us each Shabbat for joyful, interactive and educational services! Our non-judgmental philosophy embraces everyone, regardless of commitment or religious background. Services are held in a traditional setting, with a contemporary message. 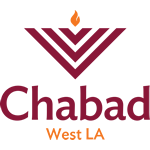 10:00 a.m. - 12:15 p.m.
Services are followed by Kiddush and light refreshments. To Sponsor a Kiddush please click here.